“It’s an endless opportunity, and the variety is incredible — an adventure every Utahn should try. Located in the small southern Utah town of Escalante is Excursions of Escalante, the region’s first professional guiding service. Rick and his group can take you into all the hidden corners of the area. A former search-and-rescue man from the area can help anyone who wants to go to BLM-registered areas like Grand Staircase National Monument and the surrounding canyons can help you make the most of your adventure — safely and soundly. There are some rare exceptions, but the general rule is — NO! Knots and bends should be loaded along their major axis. So there are times when it is best to use an overhand knot and other times when it is best to use an overhand bend (aka ring bend or water knot). Tying a flat overhand, often called an EDK (for European Death Knot) does not load on the axis. Instead, the knot is pulled apart under load. To illustrate the problems, we performed some quick-look testing using a cable come-along for pulling power and measured the forces with a Rock Exotica Enforcer load cell. The difference between the overhand bend and the flat overhand were striking. Our hypothesis at the start of the testing was that the flat overhand would prove to be weaker, but could just as likely fail due to knot rolling off the end of the tails before the webbing actually broke. Overhand bend before and after failure. Tails started at 4.5 inches. One tail remained 4.5 inches. The other measured 4.25 inches after failure. Flat overhand knot before and after failure. Tails started at 4.5 inches. Knot rolled, reducing tails to 2 inches. Much better to use a knot or bend that loads along the major axis. Loading that pulls the knot apart results in the potential for two different failure mechanisms; (1) material failure (at a significantly lower breaking point) and (2) the knot rolling off the ends of the tails. But what about those exceptions? One example might be … A wrap three pull two around a smooth, round, large-diameter object, like a tree. If a flat overhand is used to connect the ends of the webbing … and the knot is placed on the side of the tree facing the load so there is 360 degrees of webbing wrapped around the tree … friction from the wraps will hold a significant portion of the load. That would put significantly less force on the knot. In fact, the tension on the knot would be negligible. Canyoneering, canyoning, cañonismo, barranquismo, kloofing, gorge walking, river trekking, river tracing – these are all terms for basically the same adventure sport – exploring canyons – that involves hiking, wading, swimming, rock climbing and rappelling – often over waterfalls. Some people perceive differences in how the various terms are used based on canyon type or the techniques used. In fact, the terms are based primarily on geography. The term “canyoneering” is uniquely American, but is also used in areas that are influenced by American canyoneers. The term “canyoning” is used in Europe and Australia and in other areas that are influenced by European or Australian canyoners. “Cañonismo” and “barranquismo” are Spanish terms used by some canyoneers in Mexico and Spain. “Kloofing” is an Afrikaans word, derived from “kloof”, meaning cliff or ravine. Gorge walking, river trekking and river tracing do have unique connotations compared with the other terms. Gorge walking is a mild form of canyoning practiced in the UK, primarily Wales and Scotland, in streams with limited verticality. It involves hiking, wading, swimming and jumping over small waterfalls. In canyons with taller drops where rappelling is required, the term canyoning is used. River trekking and river tracing are terms used in Hong Kong, Taiwan and Japan. In Japan, river tracing enthusiasts follow canyons upstream, climbing up waterfalls instead of rappelling down them. Some people in Japan have discovered it’s also fun to go down the canyons, and are starting to use the term canyoning. Canyoneering in its simplest form has been around since prehistoric times. People sought out canyons as sources of water, food and shelter. Ancestral Pueblo Indians, more commonly known as the Anasazi, began exploring the canyon country of the Colorado Plateau before the time of Christ. In fact, evidence can be found of prehistoric people inhabiting canyons not only in America, but also in Europe, Australia and around the world. The technology available to modern canyoneers – synthetic ropes of virtually unlimited length, wetsuits and drysuits, sticky-soled shoes, mechanical descenders and ascenders, bolts and portable hammer drills – allows us access to virtually any canyon on the planet. As a result, around the world today’s canyoneers race to lay claim to “first descents”. But we should all pause to consider the accomplishments of those who came before us. Many canyons – perhaps all but the most technically challenging – were probably first descended in bare feet, sandals or moccasins. Generations before us, challenging vertical first descents were ticked off using hemp and manila ropes. The first known use of the term “canyoneering” was by a member of John Wesley Powell’s expedition down the Colorado River by boat in 1869. The term is still used in reference to white water rafting in the Grand Canyon. Contrary to what some people may tell you, the better-known version of canyoneering – traveling through canyons on foot – did not come to the U.S. from Europe. In fact, the sport developed independently – in Europe by cavers in the 1930s, in Australia by bushwalkers in the 1950s, and in the U.S. by hikers, climbers and paddlers in the 1940s and 50s. The independent development is evident in the different techniques and equipment used in each area. 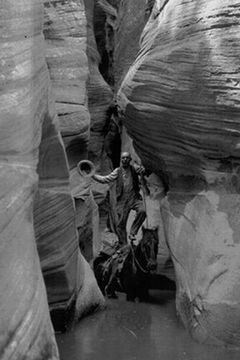 Photo Credit: Canyoneering, southern Utah style, 1920’s. J. Cecil Alter collection. Used by permisssion, Utah State Historical Society. All rights reserved. It makes sense that canyoneering in the U.S. is most popular in the “canyon country” of Utah and Arizona, primarily in the areas that lie within a physiographic province known as the Colorado Plateau. Originally named the “Colorado Plateaus” by explorer John Wesley Powell, the Plateau is in fact a huge basin surrounded by highlands and filled with plateaus. Covering an area of 130,000 square miles, the Plateau includes much of southern Utah and northern Arizona, plus portions of Colorado and New Mexico. It is split from northeast to southwest by the Colorado River. The river’s tributaries and its tributaries’ tributaries form a maze of dramatic sandstone canyons. The southern edge of the Colorado Plateau is marked by a rugged escarpment called the Mogollon Rim. The Rim – dropping as much as 2,000 feet in places – cuts across Arizona from northern Yavapai County to the New Mexico border. Just below the Rim lies a maze of mountain canyons that drain into the Salt and Verde Rivers and their tributaries. These canyons are also very popular with canyoneers. Beyond the Colorado Plateau, canyoneers are exploring mountain terrain throughout the western United States. Armed with skills and techniques taught by the American Canyoneering Academy (ACA), aquatic canyon routes have been developed in Colorado’s Rocky Mountains, the Sierra Nevada and San Gabriel Mountains in California, the Cascade Mountains in Washington and elsewhere. In Europe, canyoning is extremely popular in the Pyrenees (Spain and France), the Alps (France, Italy, Austria and Switzerland), and throughout the Mediterranean (Greece, Crete and Corsica). The Blue Mountains near Sydney provide the most popular venue for canyoners in Australia. The sandstone canyons resemble those found on the Colorado Plateau, but the landscapes are covered with gum trees (eucalyptus) instead of juniper. Reunion Island, off the east coast of Madagascar, is considered by many to be the mecca of canyoning. The island is reported to have the highest concentration of wild water canyons on the planet – more than 100 have been descended there. … wherever there are mountains, canyons and flowing water, you will find canyoneers seeking adventure. Solving the problems dealt by rock and water requires creativity. Overcome these problems with technology and hardware is possible, but it is more challenging and more fun to rely on wits and ingenuity. Canyoneering can be physically demanding. A typical day may involve hiking, wading, swimming, rocking climbing and rappelling. Some people challenge themselves to stay dry and attempt to climb around every pool. Others challenge themselves to leave the rope in their pack and attempt to down-climb as many drops as possible. No matter why or how people choose to pursue it, canyoneering is addicting and certain to attract enthusiasts in ever-increasing numbers in the years to come. Canyoneering draws participants from a number of other disciplines – hiking and backpacking, paddling, caving and rock climbing. Each brings with him or her a set of skills that have some application in canyoneering, including navigation, wilderness survival and first aid, water skills and rope skills. The combination of rope and water can create serious risks. Rock climbers are taught to tie in securely to the end of the rope. That advice can be applied to canyoneering in dry canyons, but in aquatic canyons it is important to rig releasable systems. A canyoneer unable to free himself quickly from the end of the rope in a hydraulic at the base of a waterfall could easily drown. Rock climbers go up first. What they can climb they can rappel. Canyoneering typically involves descending canyons. The rock is polished smooth by water and usually void of good foot- and hand-holds. Climbing back up may be impossible. Pulling a rope after a rappel will often commit a canyoneer to completing the entire canyon. 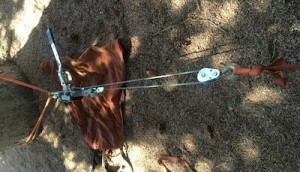 Rock climbers typically use anchors that can be dismantled, which permits the use of expensive hardware. Canyoneers use anchors primarily for rappelling and leave them behind in the canyon. You won’t find canyoneering anchors constructed with $60 camming devices. Canyoneers have developed tactics and techniques that allow them to overcome obstacles simply and efficiently. This includes the use of human anchors, which may be employed to make a marginal fixed anchor useable or to send a person down to check to make sure a jump is safe. Rock climbers tend to use ropes in the 9.5 to 11 millimeter diameter range and typically rappel on two strands of rope. Canyoneers may rappel on ropes ranging from 8 to 11 millimeters, often times single strand and sometimes double. Therefore, it’s important for canyoneers to know multiple ways to rig a rappelling device to get the right amount of friction for each situation. 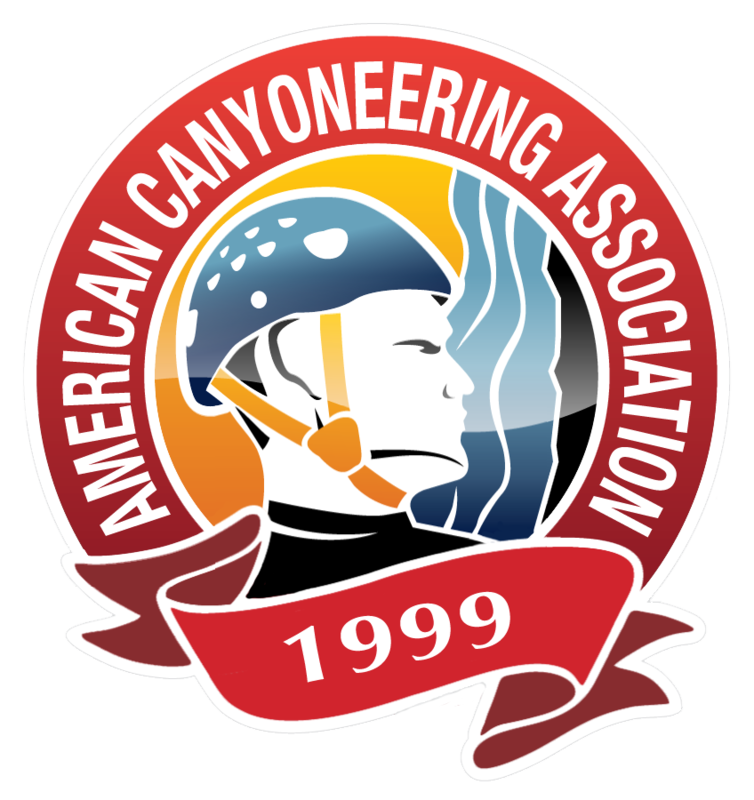 Whether you are coming from a rock climbing background, or from caving, hiking or paddling, the American Canyoneering Academy exists as a resource for you to learn and grow, to become a safe, efficient, self-reliant canyoneer.